With the number of recreational boaters growing each year, the potential for serious injuries from boating and other watercraft accidents has increased. This is particularly true in South Florida and other coastal areas, where boating is virtually a year-round activity. Sometimes these accidents are the result of operator negligence, such as the failure to follow boating safety laws. Other times, the accidents are caused by recklessness, which may rise to the level of criminal misconduct. Injuries may also result from problems with the boat itself, in which case the manufacturer, distributor, or boat owner may be responsible. Boating accidents and accidents involving other watercraft are normally governed by maritime law, and often involve issues that are different from cases involving land-based personal injuries. For instance, a boat owner may try to limit his liability to an injured passenger or operator by bringing what is known as a Limitation of Liability Action in federal court. Such an action can, in certain circumstances, limit the amount an injured person can recover to the value of the boat. This obviously can significantly impact the outcome of the case if the boat is old, or of little value. 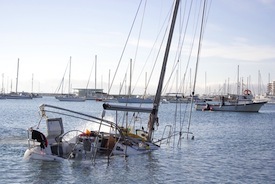 The boat owner may also attempt to assert other defenses unique to maritime law, or try and assign fault to non-parties to the accident. In boat accident cases, as in all personal injury cases, it is important to have a thorough knowledge of both how the accident occurred and the damages sustained by the client. Our Miami firm will thoroughly investigate the accident, and if necessary, retain an accident reconstructionist or other expert to recreate how the accident occurred. Additionally, since many boating accidents involve catastrophic injuries to the brain, spine, or other internal organs, we also will retain medical experts to evaluate the nature and extent of your injury, as well as the need for, and cost of any medical care in the future. Our goal is to help you recover the maximum amount you are legally entitled to, which includes not only past and future medical expenses, but also pain and suffering, and in certain cases, past and future lost wages and/or loss of earning capacity. In addition, we have experience dealing and negotiating with health care and other third party insurance carriers who may assert liens for medical treatment. Because boating accidents and accidents involving other watercraft often result in serious personal injuries, or death, it is important to consult with a law firm that knows maritime law and has experience in handling cases involving maritime personal injuries. The Pollack Law Firm located at the Miami area has handled cases involving maritime personal injuries for almost 20 years at the both the trial and appellate levels. We also have extensive experience litigating in federal court, where many of these actions are typically filed. If you have been injured or involved in a boating accident, contact us for a confidential free consultation.